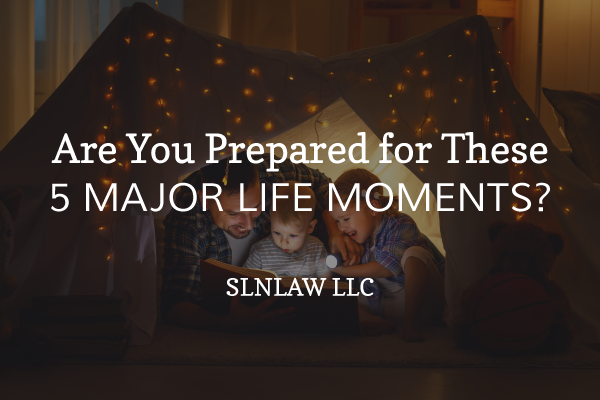 Are You Prepared for These 5 Major Life Moments? There are some moments in life it’s impossible to prepare for on an emotional level. But when it comes to your finances, it is possible to be proactive. An estate planning lawyer can help. Before marriage, you probably only had yourself to think about. Now, you have a partner who may rely on you in some way for support. Even if you don’t provide for their quality of life, you likely would prefer that they receive your belongings, such as your home, car and valuables…or would you? After you’re married, if you don’t want certain belongings to pass to a spouse if you die, you will need a will to clearly state your wishes. Do you want your parents to receive some of your assets? Now is the time to talk it out with your new spouse and your estate planner. There are additional ways an estate planner can help when you’re a newlywed. You can set up power of attorney for each spouse as well as fill out healthcare proxy forms. Make sure you can each make financial and medical decisions for the other in the event of an accident or injury – you’ll be thankful you did if you ever find yourself in a critical situation. Is there anything more life-changing than welcoming a child into the world? Now you truly do have another human being depending on you for support, and estate planning helps you make sure you do just that. Who will care for your children if you die? How will your assets be distributed amongst your children? Comprehensive estate planning includes detailing your wishes, setting up a trust and planning ahead so your family receives as much support as possible in the event of your death. No one goes into marriage with the intention of divorce, but sadly, it’s a reality. Divorce brings a whole range of estate planning questions. Have you changed the name of your account beneficiaries? Would you like to change your healthcare proxy and power of attorney? Should you rename your will executor? After divorce, you may wish to marry a second time. Again, an estate planning lawyer can help with key issues at this stage. What should a second spouse receive if you die? How will children of a second marriage be provided for? Answer these questions now and save your family hours in probate court and thousands of dollars in lawyer fees. When your parents reach the end of their life, there is a high likelihood that you will be called upon to take over their finances and make their medical decisions. If you and your parents don’t talk about estate planning before they become ill or pass away, it can be very difficult for you to access their accounts and provide the support they need. What is the correct role for adult children and what are your parent’s wishes? Meeting with an estate planner with your parent beforehand can help you prevent trouble with banks and avoid contention within families. If you or your spouse were to pass on, are you prepared for all of the imminent financial decisions that will result? Working with an estate planner ensures either you or your spouse has a strategy to deal with estate tax and bypass probate. 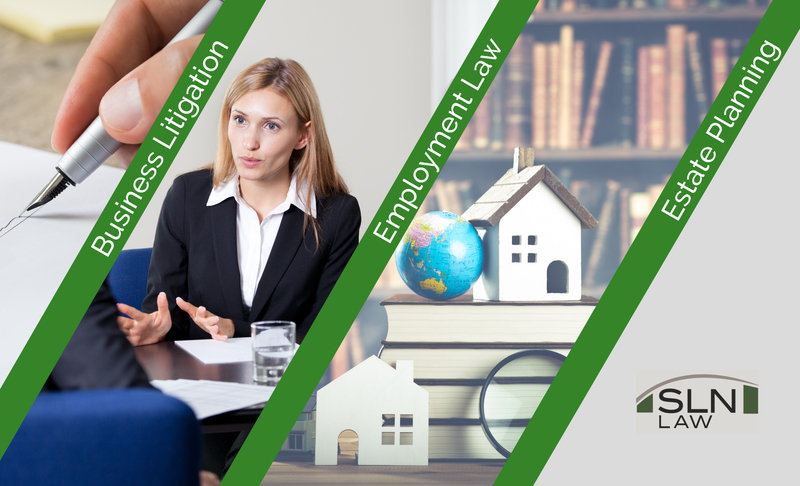 Slnlaw LLC is a full-service estate planning firm that also offers individual services. In other words, we will design a service package that fits your specific needs. We understand no two people are alike, but everyone needs a detailed, knowledgeable estate planning lawyer to navigate the often confusing laws and regulations. Let us help – call today to set up a consultation.